Dracowolf was founded in September of 2006 as way to sell Lindsay’s creations. But this was not all Lindsay wanted to share with the world. Today is she bringing her unique mix of Dracowolf’s artisan, Lindsay, and magickal living, though her words and readings. Lindsay has always been a witchy woman since her teens. She received an BA in Anthropology and archaeology at Mansfield University of Pennsylvania. She studied in Italy and for two years in Russia, at Volgograd State University. She draws her inspirations from many ancient teachings and symbols. Lindsay is a Reiki Master/teacher and loves showing people the power of their own subtle energy systems! The mission of Dracowolf was originally to bring a little magick to one’s life, wardrobe, and home. But as time passed, Lindsay found that sometimes people don’t know what they want or what they need, or even what might work for them. We serve to empower or inner akly-me (change for the better) through our creations, custom creations, readings, and reiki. 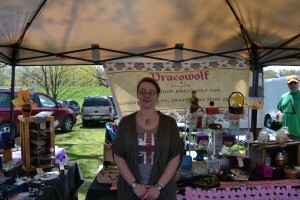 She worked as a psychic on Oranum.com, where she received rave reviews. But Lindsay decided to make her work and readings a little more personal. She wanted to be able to provide all kinds of spiritual support and guidance, which she couldn’t do through such a large commercial psychic reading site. [mailpoetsignup mailpoetsignup-668 mailpoet_list_1 default:on] Want to sign up for my newsletter?